Goblins! Elves! Evil Deeds! No Rings, but Hilarity! Anderson does better when he sets his sights on recognizable social ills and puts somewhat clueless characters into untenable positions. Feed does this, as does his other well-known work, Octavian Nothing. His latest book, done in conjunction with charmingly weird illustrator Eugene Yelchin, manages to do this as well. 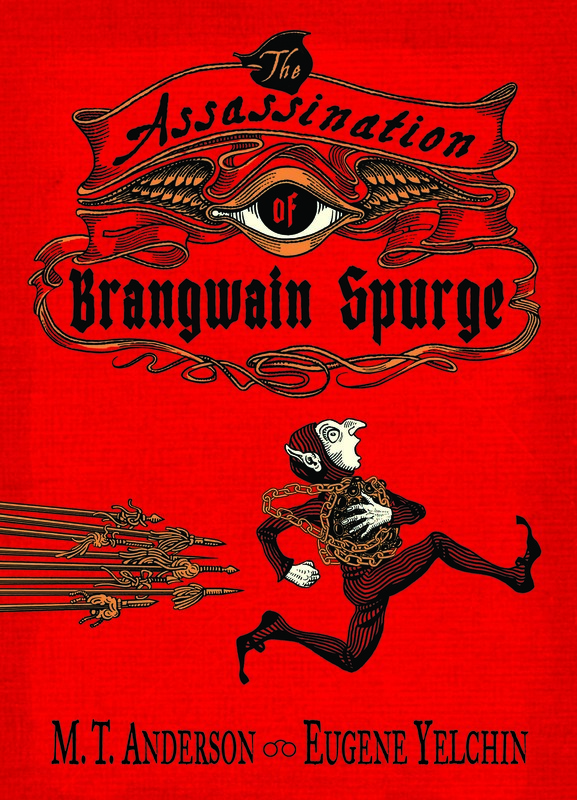 The Assassination of Brangwain Spurge (now there’s a name!) takes place in an imaginary world where the nation of Goblins and the nation of Elves are at constant odds, and on the brink of war. Spurge has been sent on an impossible mission. Launched by a giant crossbow into Goblin territory, ostensibly bearing a gift for the terrible yet mysterious Goblin king, he is actually a spy for the Elves. His host Werfel is a well-meaning Goblin, like Spurge an academically inclined fellow, who tries to impress Spurge with all manner of food that Spurge finds disgusting beyond belief. Funny? You bet. Think about that aunt you have to visit, who serves up things you’d never eat in a million years, like Haggis or pickled herring, yet because she’s family you have to at least pretend to be eager to take a nibble and say it’s good. Spurge and Werfel are mirror-images of each other: each extols the wonders of their kingdom, and refers to the other kingdom as dastardly, evil, and foul. And yet they manage to hit it off rather well. Of course, things go awry, as things are wont to do when fantasy worlds are in conflict. No spoilers here, but suffice it to say that these two diplomats get their eyes opened by each other, and learn to transcend their differences. Which is something our own nation could learn to do, wouldn’t you say? This morality tale is a quick read, despite being over five hundred pages long, because a good percentage of those pages contain no text. Instead, on these pages Yelchin treats us to an illustrated view of the events that unfold, without words to explain them. The drawings are old-fashioned, full of cosmic suns and weird creatures, yet they also feature unusual angles to heighten the sense of drama they convey. Some of the images are absurd and some pretty funny, including some scenes when the intimidated Spurge breaks out of his shell and expresses his true elfishness. My only complaint about the drawings is that Yelchin fills the backgrounds in them with a murky gray light, in some cases ruining the proper contrast needed to fully appreciate—at least for a human like me—the drama they express. Perhaps this isn’t a problem for Goblins and Elves, but unless I were to actually find myself in their kingdoms where I could inquire within, I’ll guess it’s a problem for them, too. Murky pictures or not, this is a fun read for all ages, even if it is aimed squarely at the 10 to 14-year-old tweener market. It’s a moral tale without being preachy, with relatable characters. One could do worse than to read it. Time is one of those topics that always seems to stump me. Ever since Einstein hitched it to space to make spacetime, and cosmic physicists starting talking about things like 10-33 milliseconds after the Big Bang, I’ve sometimes asked myself questions like, what in the world does all that have to do with the fact that I burned the toast because I set the toaster timer at five minutes instead of four? Evidently I’m not alone in my bewilderment. Astrophysicist Adam Frank recently took the plunge into trying to make sense of all things temporal with his book About Time: Cosmology and Culture at the Twilight of the Big Bang (2011, Free Press). The problem I have with this proclamation is that I still don’t get how the two times are braided. But he seems to imply that he doesn’t really get it either, but boy, once we start getting it we will be ready to either evolve into a new species, or go extinct. Think of the astrofoetus in 2001: A Space Odyssey, floating up there and ready to transcend humanity. Heavy stuff! This is typical of his writing, though: Momentous change is coming down on the human race, and…he’s not sure what it is. It would be refreshing if he were up front about his ignorance, but at least he doesn’t come on like He Who Knows All. This becomes apparent by the end of the book, when he tackles the Big Bang theory and what might replace it. Instead of giving a definitive idea about what might replace it, he covers a few renegade “rebel” scientists who have come up with some rather wacky alternatives. Julian Baker, for example, is convinced that there is no such thing as time, only a succession of Nows. Baker lost his job promoting that idea. Next, he writes about Andreas Albrecht, a self-described “quantum cosmologist,” who coined the phrase “clock ambiguity” when he realized there could be no common ground between time on the quantum scale and time outside that scale. Finally, physicists Lee Smolin and Robert Unger decided that both String Theory and Multiverse Theory are essentially fictions, coming from a need by physicists (who are only human, after all) to establish timeless truths that exist outside of the world we experience. He cheerfully admits that these rebels probably don’t have the Big Bang Replacement, and such a replacement may be years in the offing—but isn’t it great to see at least a few physicists stray from the party line? Just as there’s a disconnect between the Quantum and the Cosmic, so is there a disconnect between the baffling paradigms constructed by the physics community, and the social paradigms Frank describes in his book. I give him props for trying to make the connection, though, and perhaps he will succeed in braiding them…in time. Lewis Carroll’s Alice in Wonderland is probably the most enigmatic fantasy tale ever written. Is this 19th century classic an adult fantasy, a children’s story, a political satire, an extended riff of nonsense, a trippy exploration of a child’s mind, an exercise in wordplay, or—Oh, Dinah!—a combination of them all? Critics and readers alike have pondered the fascinating contrast between its seeming facile surface of dreamlike experiences and the darker elements that lurk beneath. Thus we have a vast array of interpretations on Alice, from stripped-down grade school stagings to Disney’s appropriation to Gregory Maguire’s postmodern tweak (see my recent review of After Alice on this blog). The characters and tropes have been so ingrained into our collective consciousness that it’s hard to conceive of a new approach to Wonderland. Yet Bruce Bierman, an East Bay drama teacher who works with adult actors over 50, has come up with a brilliant take on Carroll: What if the characters in the story are simultaneously elderly people in a memory care unit who suffer from dementia and Alzheimer’s disease? In writing the script for Wonder, Bierman drew not only from Carroll’s text, but from his own life experience (always a good idea). His father lived with Alzheimer’s for a decade before passing away three years ago, so he’s seen first hand not only the changes experienced by memory care patients, but how they relate to others, and how staff at a memory unit relate to them in turn. My own mother also struggled with dementia in the few years before her death, and one thing I and others noticed about her is that her personality changed dramatically—so much so, that at times she felt like a different person to us. Every day for her was a struggle to find her identity and the identities of those around her. Bierman wisely chose this struggle to be the driving force behind his play. Wonder starts out with a group of elderly live-in patients entering a common room for a sing-along. Alice is one them—an old woman, not a child as in Carroll. For the girl Alice, her adventure is a just a dream that vanishes when she wakes up. For the elderly Alice, the adventure has far more weighty implications. While she gains a measure of self-respect and agency at the end, we all know that this is no lighthearted romp for her, that her struggle to find identity will remain. Fortunately, two of the characters—the Caterpillar and the Cheshire Cat—work at the memory unit and provide her with help along the way. The other characters she meets in Wonderland—the Dodo, Duchess, March Hare, Dormouse, Mad Hatter, King and Queen of Hearts—are also residents of the memory unit. After an entertaining cast rendition of Jefferson Airplane’s classic song “White Rabbit,” Alice finds herself falling through a hole in her mind. In contrast to the residents, the characters she meets at the bottom of her fall are lively, funny, and—in the case of the Queen—irrational and angry. As the Cheshire Cat puts it, “We’re all mad here.” Alice’s interactions with these people largely follows what happens in Carroll’s story, though out of necessity Bierman’s had to trim quite a bit of Carroll’s packed text. He’s also made a few changes, such as substituting the Queen for the Dormouse in giving a “dry” speech to help Alice and others dry out after being in the Pool of Tears. There are places in the original Alice that go on and on, full of linguistic and mathematical puzzles, that would be out of place in a play. As in the book, Alice’s primary antagonist is the Queen, who randomly shouts “Off with their heads!” and otherwise behaves quite erratically and ludicrously. Of all the characters, the Queen (in my opinion) most fully embodies a characteristic often found in people with dementia—an uninhibited rage, followed by unpredictable mood swings, including expressions of delight—yes, and even wonder—before lapsing into a silence. After Alice gets through the trial scene at the end, she returns to the memory unit. I got the sense that, in standing up to the Queen, she has gained some self-respect and sense of agency. Hopefully, that will help her in the days to come. Bruce’s Viewpoints class at Stagebridge employs concepts developed by choreographer Mary Overlie and directors Anne Bogart (Bruce’s mentor) and Tina Landau. Wonder started as a series of exercises with the over-50 members of Bruce’s class. When his father went into a memory care unit, Bruce began to notice an eerie parallel between Wonderland and his father’s ward. At one point he didn’t want to go on with Wonder, but his class encouraged him to continue with the script, which has undergone a number of changes (as all good scripts must), and eventually that led to an actual stage production. According to Bruce, at one point he decided that he wasn’t responsible for representing Alzheimer’s and dementia to the world, that he was just going to serve Lewis Carroll, and that this play was his own interpretation of Wonderland. I’d say he does more than just interpret Carroll—this play, and the players who helped bring it to life, adds a depth of meaning that Carroll’s story never had. Daemons and more daemons? Check. Raging maniacal perverted genius on a your character’s trail? Check. Seventeen years ago, British writer Philip Pullman made a big splash with his fantasy novel The Golden Compass. Set in an alternate version of Oxford, England, it featured an endearing (Shall I say “spunky?” Perhaps I shall…) girl protagonist named Lyra Bevacqua who navigates a quasi-steampunk world with an armored polar bear for a companion, bearing a magical instrument called an alethiometer (the “compass” in the title), with mysterious parents who are either evil or terribly important or both, on a quest to save children from being permanently separated from their animal familiars, which in this world are called daemons. It’s all quite fantastic stuff. Two sequels followed with new adventures and new strange worlds and angels and witches and character arcs gone haywire. Fun reading for young and old alike. But you know all this already, of course. And if you don’t, I suggest reading The Golden Compass before tackling Pullman’s latest. Lyra is at the center of La Belle Sauvage as well. Though she’s just a little baby, she has a mysterious pull on all sorts of characters, including an 11-year-old boy named Malcolm Polstead, who finds the infant, temporarily being housed by a cloister of nuns, to be just the most fascinating thing he’s ever seen. So we know right away that the target demographic for this book isn’t your standard 8-12 middle grade reader. While the pace eventually picks up in the second half of the 400+ page novel, much of the first part consists of Malcolm helping the nuns at the cloister, thinking about who Lyra is, planning to fix up his boat (La Belle Sauvage, same as the book’s title), and tending to his job as a helper at his parents’ pub near the river Thames. Malcolm is one of those characters with so few character flaws that he seems even unlikelier than the assortment of daemons that populate the story. Actually, in real life it’s not unusual to come across a child devoted to helping others and doting on a baby, but in the world of fiction he’s a bit of an anomaly. Pullman takes his sweet time showing how wonderful Malcolm is, and establishing his emotional ties to the river. He slowly adds elements of tension: a stranger with a vicious daemon, a repressive religious organization that takes over his school and turns kids into snitches, a number of messed-up adults who are apparently also interested in Lyra, and a scholar who turns Malcolm into a spy. At this point, fair warning: SPOILERS AHEAD. The flood is a mind-boggler, launching Malcolm and Alice on a journey into strangeness that reminds me a bit of the Odyssey: they meet (and barely escape from) a witch with magical breasts with which to feed Lyra; find temporary shelter in a place that appears to be inhabited by people who can be seen but can’t see them; and finally get help from a friendly Thames river giant to escape from the faery world that has them trapped. In between the nappies and baby feeding and barely staying alive (experiences that all new parents experience, no doubt), they defeat the evil person, but it’s not all buttercups and daisies. At the very end they barely escape with their lives when attacked by a ship from the Consistorial Court of Discipline, the real force of evil, who have been tracking them all this time. This tale doesn’t have much of a denouement at all: their rescuer, Lord Asriel, plucks them out of the flood waters just as La Belle Sauvage crumbles like a soggy box of matchsticks. But Asriel has places to go and things to do—no time for nappies, he—so he basically drops all three kids off at one of Oxford’s colleges and, well, that’s all folks. There you have it. Can’t hardly call it a book for kids, especially when Malcolm at one point discovers he has the hots for the older Alice. Besides, Pullman is a very involved narrator who jumps around a lot and tells the story his own damn way. Kind of like your favorite uncle who’d come over for dinner, and everyone is waiting for him to tell a humdinger of tale, but he doesn’t want to tell it over dinner, and then he has to have his drinky-poo, and then he settles into your father’s favorite easy chair, and props his feet up, and scratches the dog behind the ears, and then asks to have his drinky-poo refreshed, and then has to use the water closet, and then finally he settles back in the chair and the dog circles around three times widdershins on the floor at his feet and he finally gets into the real story. * “nappies” is Brit for diapers, not things with which to wipe one’s mouth. 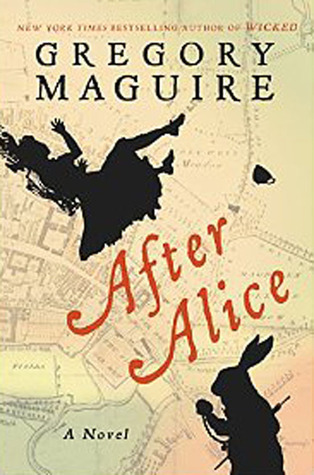 Gregory Maguire’s After Alice: Too much of a post-modern thing? Count me among those impressed when children’s book author Gregory Maguire turned the classic Wizard of Oz on its head, imbuing this dreamlike fantasy with adult humor, flipping the script on the Wicked Witch of the East, and making Dorothy a mere bit player in a story loaded with contemporary issues such as racism and anti-intellectualism. It was fascinating to me how he cleverly took the main events in Baum’s story and reconfigured them into a post-modern narrative. That Wicked was turned into a highly successful musical underscores the irony that its popularity was due to the popularity of the original story. Maguire has gone on to write other contemporary takes on fairy tales (still a literary trend, for how long now? ), and classic children’s stories (Lost, Hiddensee). In After Alice (HarperCollins, 2015, 273 pp.) he takes on another legendary classic, but to call Alice’s Adventures in Wonderland a children’s story is like calling the Bible an adventure story. There’s so much more to Alice than meets the reading eye. Lewis Carroll was not your garden-variety fiction writer. 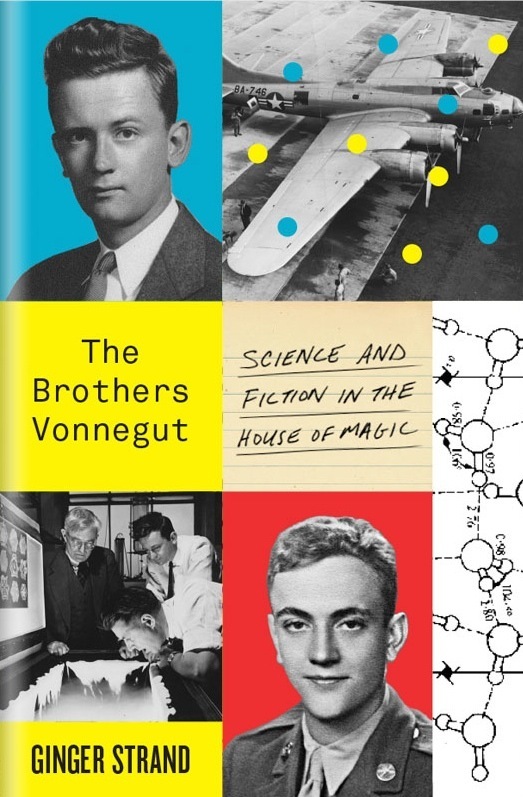 He packed so many meanings into his two Alice stories, much of it clever wordplay with mathematical overtones but much of it also comments on social morés and political figures, that it took an annotated version of his fantasies to unpack it all. The original Alice is a continual delight for multiple generations of readers, many if not most of whom are adults. It doesn’t have much of a story arc—basically, it’s Alice wandering around and innocently encountering absurd situations and characters—and as such is relentlessly contemporary. One might say, even post-modern. Given all this, could Mr. Maguire create an alternative Alice to match his Wicked? I must admit, I had my doubts, but I was curiousier and curiouser as I set out to read it. First off, the tale isn’t about Alice at all, who is relegated to the Dorothy role—distant, mythical, untouchable. It’s about her friend Ada, who falls down the same rabbit hole that Alice did, and met with many of the same characters—the talking flowers, the White Knight, the Cheshire Cat, etc. Maguire wisely devotes an entire chapter to the Mad Hatter and the Dormouse, one of my favorite episodes of the original Wonderland, but many of the other characters are given somewhat short shrift. That’s because fully half the story isn’t about Ada at all, but Alice’s older sister Lydia, who isn’t in Wonderland but exists in a kind of Jane Eyre-ish domestic squabblefest involving overwrought encounters with Ada’s anxious governess, a young American man who disappointingly provides no romantic interest, and—most absurdly of all—Charles Darwin. Yes, that Charles Darwin. But Darwin is but a shadow, and the aforementioned young American is both his assistant and a guardian to a young freed American slave with the unlikely name Siam. (Yes, Siam. Get it?) All very Maguire-like. Lydia’s above-ground narrative serves as counterpoint to Ada’s underground one. It ripples with the ridiculousness of overly polite Victorian English social maneuvering. But as a story it literally goes nowhere. Lydia shows no character development; at least Ada, who finally succeeds in both maneuvering herself and her friend out of Wonderland, does. While I found some of the Lydia narrative to be amusing, it was like eating a teacake without any tea, so to speak. One could argue that this parallel narrative is perfectly fitting with Maguire’s post-modern take on things, but I’m afraid that in Lewis Carroll he has met his match. For example, he really tried to add a bit of ominousness with references to Persephone and Dante’s Inferno, but Carroll’s own original characters carried far more dark weight without need of any literary references. The Queen of Hearts in Carroll is terrifying, even when Alice finally realizes she and her cohorts are a mere deck of cards. In Maguire, the Queen is but a toothless noise in the background. That’s not to say this is a bad story; Maguire’s chameleon-like stylings make it a worthwhile read, and his effort deserves credit for its audaciousness. But it doesn’t quite measure up, and measuring up to a masterpiece is a rabbit hole I’d rather not fling myself down. Next time: we take in another tale set in Oxford, England, which is also a bit…different. Preamble: the usual Spoiler Alert. I don’t reveal how the story ends here, but you won’t have a hard time guessing if you read the following review. Young Alfonso has a problem: when he sleeps, his sleeping self does amazing things that he’d never be able to do when awake. At the story’s beginning, for instance, he wakes up to discover that he has climbed a very tall tree, with no memory of how or why he got there. Sleepwalking is quite real, of course. I can attest to that: though not a sleepwalker myself, for a short time a friend of mine stayed in my family’s house when we were both teenagers. My friend woke up one morning to discover that, in his sleep, he’d climbed through a window, out onto the roof—three stories above ground. Needless to say, he no longer slept in the top floor of our house after that! This story employs sleepwalking and a similar condition, waking sleep or “hypnogogia,” to full effect. Jake Halpern and Peter Kujawinski flip them from “disorders” into superpowers in their long (500+ pages) middle grade story about a boy who discovers that he is the Great Sleeper, and it is his destiny to return to a land called Dormia, set somewhere in the Ural Mountains, where he is to return a magical plant called the Dormian Bloom. Here, he learns, his ancestors have lived in secret for hundreds of years, struggling to survive against attacks by a hostile tribe, the Dragoonyans, and where only the Bloom, once planted in the ground, can protect the survivors. His uncle Hill whisks him off on a journey from Minnesota to some imaginary places, accompanied by quirky characters, until they finally arrive in the Urals. From there, the battle against the dreaded Dragoonyans takes shape. I was definitely intrigued by the story’s premise. To their credit, the authors use super sleepwalking as both a way to build up excitement and a way to inject humor into the story. That’s because Alfonso isn’t the only one with sleeping powers—it turns out that the entire population of Somnos, Dormia’s last remaining city, also routinely falls asleep to perform certain tasks; for example, the sled driver who transports Alfonso around does so while snoring. The authors don’t overuse this technique, either, and they have great comic timing with some of the secondary characters. That said, the novel wasn’t without some…issues. At times it strained my credulity, as its setting is both within the real world (the Bering Sea; the Urals) and in imaginary places along the way reachable only by boat. There were times when I simply couldn’t connect the dots on any kind of map in my mind. This wasn’t a terrible problem, just a distraction. Some characters didn’t seem too well thought out. I’m thinking of a girl named Resuza, not a Dormian but a resident of a nearby remote city, who accompanies Alfonso for a while before disappearing with a mathematical clue. The narrator says that she’s dead, though I figured she’d turn up later, and sure enough she did—as a traitor. And then she claims she really wasn’t a traitor, and Alfonso believes her because…maybe he has a crush on her? It’s unclear. Resuza’s puzzling behavior is connected to the unbelievable—and complicated—way that Alfonso discovers the secret way into Dormia. It has to do with a giant raven’s nest, and a huge root with a square hole in it (square root, get it? ), and a watch with lines engraved on it that represent topographical lines on a map, and a metal egg that has to be turned in such a way that only someone like Alfonso with special hypnogogic powers can figure out how to line up that triggers the secret Dormian gate to open. What the giant raven had to do with any of this is never explained, but we do get to see Alfonso attacked and wounded by the monster—and then, in the ensuing action the wound disappears as though it never happened. It would make sense as a hallucination, but not as part of a plotline. Finally, Alfonso makes it into Somnos just in time for it to be invaded. The authors chose to hop around different battle scenes rather than just sticking with Alfonso, and I found them to be unnecessarily long and confusing. The narrative tone throughout the entire novel is one that would appeal to readers who like tough guys, and Alfonso’s uncle Hill embodies that spirit as he wades into the fray with his .45 pistol and ancient aviator jacket. The tone is old-fashioned, but with a more modern narrative style. As an adult I found it tiresome at times, but I can imagine a 12-year-old really enjoying it. The battles drag on (I’ve never liked long battle scenes, even in Harry Potter), some of it happening inside the huge, old, dying tree the Bloom will replace. Carnage ensues. Characters get killed, both “bad guys” and sympathetic “good guys.” The authors present cliffhanger after cliffhanger, and I kept thinking all was lost, until…well, you’ll just have to read it to find out, won’t you? In sum: I give this one thumb up. After all, any story meant for preadolescents that lasts over 500 pages, and which I actually finish, has something going for it. 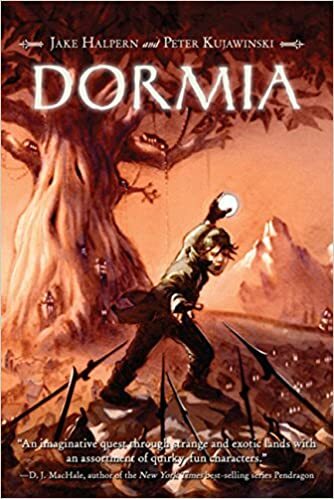 Postscript: I read this unaware that Dormia has two sequels to it now, though it hardly surprises me. I’m not inclined to read sequels, but make exceptions for stories that are…exceptional. Like the sequels to The Magic Compass, for instance. 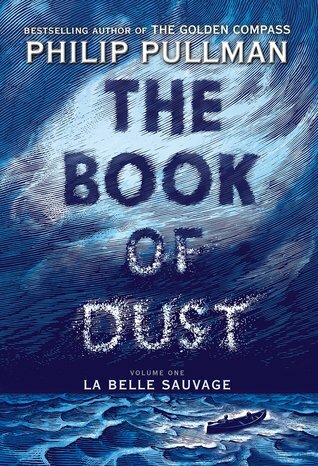 Speaking of which, look for my review of Philip Pullman’s first installment in his new Book of Dust series, La Belle Sauvage. Coming soon!